Finding the public records you are looking for can be a very frustrating and time consuming task. There are so many different government offices and agencies that house the various types of public information and data that are available. Fortunately, though, there are many easy to use tools that are freely available online. Below is a basic guide to help people find public records sources in the state of Texas. Birth and death certificates are the two most vital types of documents that are officially recorded during a human being’s entire lifetime. Thus, it’s equally vital to know exactly where to go when you need certified copies of a birth or death record. Certified Texas marriage license copies must be obtained from the local County Clerk’s office that originally issued the license. Certified duplicate Texas divorce decrees are issued by the District Clerk’s office in whatever county where the divorce was finalized. The Texas State Vital Records Office publishes free downloadable statewide Indexes of marriage records dated from 1966 to the present and divorce records dated from 1968 or later. They also offer a free marriage verification letter request form. Official tax records for personal or real property in Texas are maintained by local County Assessor’s offices, most of which maintain searchable property tax databases that are publicly available online. You may also request Texas property tax records from local County Assessors in person or by mail. 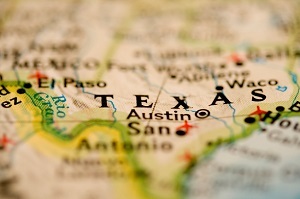 Consistent with its geographical dimensions, Texas has a state judicial system that consists of five separate divisions. The first level is comprised by Justice and Municipal Courts, which deal with low misdemeanor crimes. Next come County Constitutional Courts that handle high misdemeanor and juvenile criminal cases. State District Courts decide felony criminal trials, which may be taken to the 4th tier by filing an appeal with Texas Courts of Appeals. Finally, the Texas Supreme Court is the state’s last resort to pursue criminal justice. As probably already expected, public criminal records for each type of case are maintained by presiding courts located in the county where proceedings occurred. You may review a comprehensive list of local Texas County-level courts on the official state of Texas website. Unlike virtually all other states, Lone Star State local DMV offices don’t maintain records for licensed Texas motorists. However, you may request driving history records by mail or online directly from the State Public Safety Dept. They are available for a nominal fee and have certain requirements that have to be met by the person or organization requesting the information. There are local offices in each county in Texas that offer a variety of different types of public records. You will have to seek out each county office individually for the specific information you are looking for.